I don’t always know what my heart needs, in those moments I find my mind wanders in circles only stopping to turn the old rocks of my soul over or to imagine (i.e. obsess over) some sort of despair and forever lack of clarity. This may or may not happen every third week. I find this is possibly the dark side of FEELING ALL THE FEELINGS ALL THE TIME. Then in an unexpected moment, someone wise says something so simple…and obvious. 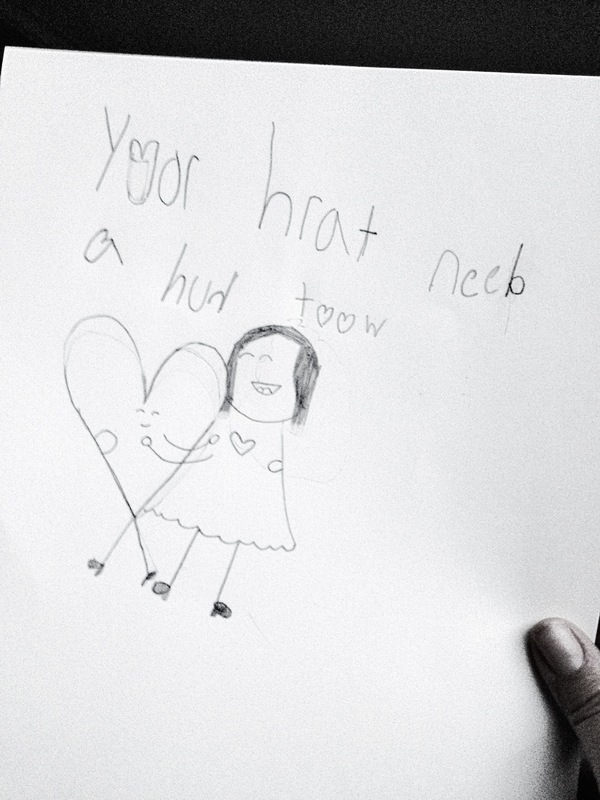 …like your heart needs a hug too. Could it be so uncomplicated? It seems the most foundational truths usually are. This is why it’s good to keep babies and old wise ladies around. Newness reminds us how we all just need to be close to the source of safety and love, and the aged show how to loosen our grip, that everything changes (both good and bad) and we will find our way. There is no need for worry and fear, the energy need not leave our hearts and is best served other ways. The fortitude grows, leaving only enough space for that which you truly need. It’s too much for me to think of a whole year or life change. So today I start small, and new…the most simple need, the most simple thought…let it be, let it grow. If you like, you can tell us your most simple need or truth in the comments. Is it a shower? Is it that you need someone to squeeze your shoulder or hand? Is it a walk or fresh air? Is it a one more blanket? Is it that you actually are very, very tired from the holiday? Is it that you need a stranger to send some hope or make you laugh? Is it that you are scared and strong at the same time? tell us loves…we are here.